Teaching English in Mexico will not offer as much money or as many benefits as an ESL job in China or Korea. Teachers in Mexico can expect to earn $4,000 - $12,000 MXN per month. There is a demand for English teachers in Mexico at all times during the year (peak hiring season: January or August to September). The autumn months are especially busy hiring seasons for English teachers looking to teach in Mexican schools. 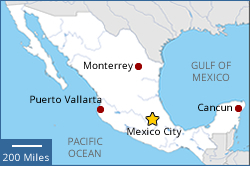 Teaching jobs in Mexico can be found in a wide range of places. There are openings in small private English schools, post secondary institutions, businesses, and other places. Teaching English in a Mexican school may not pay well, so some ESL teachers find that teaching private lessons is a great way to help with the bills. If employed at a school, it is important to be honest about any intention of teaching private English lessons. Many schools will be concerned that teachers interested in offering lessons will try to steal students away from the school. It is highly recommended to respect the wishes of a school, and remember that they have the ability to have the visas of their employees canceled. On average, ESL teachers can make between $100 - $400 MXN an hour for their tutoring. English teachers with an understanding of the Spanish language will be able to charge more for their services than someone who does not have this competency. Many teachers can generate business by posting advertising in local print and online media, by placing posters, and through word of mouth. Another popular way to find work teaching English in Mexico is by teaching business English for Mexican companies trying to improve their employees' knowledge. The most common way to find work teaching business English is by becoming a freelance teacher for one of the companies that offer this service. Many teachers find the rate of pay to be better than many jobs at language schools, but the hours can sometimes be unpredictable and holidays come with no pay. - Do students need to have a good understanding of English already? - Which appeals more: an urban or rural location? - What size of classroom would provide the perfect teaching environment? - What age range would the ideal classroom have? - Is the use of public transportation a concern? - Will there be any family members traveling to Mexico? - How important is time off? - Does a job with a higher paycheck appeal more than a job that is enjoyable? When TESOL graduates start doing their Mexican job search, it's hard for them to ignore the Wall Street English, with schools in just under 20 regions in Mexico. With locations in Mexico City, Monterrey, Queretaro, Riviera Maya, and Veracruz, the International House Schools have a heavy presence in Mexico. The International House Schools are an excellent place for ESL teachers to look for work teaching English in Mexico. Mexico is a country that may not seem far away but, upon arriving, many ESL teachers can often experience varying degrees of culture shock. Before leaving, it is best to take some time and not only research job opportunities, but read about Mexico, its people, and traditions. Plan out trips to places that appear interesting and read what other ESL teachers have experienced while teaching in Mexico. - Teachers who travel to Mexico and perform a job search often have better luck than those applying from their home country. This is due to the fact that Mexican employers prefer to meet in person. 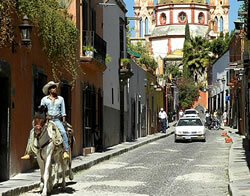 - Spanish is one of the most widely taught languages in North America. Try to find some time to take some Spanish lessons. This will make life in Mexico much easier and will improve teaching job prospects. - It is most likely that English teachers wishing to teach in Mexico will be responsible for paying for their own plane ticket. - Be open-minded: Mexico is world-renowned for their culture, history, and food. Don't be afraid to go out and experience what Mexico has to offer. - Moving to Mexico to teach English means that teachers must find someone they trust to manage their finances while they are gone. Some choose friends/family that they know and trust, while others opt to speak to a professional financial advisor. Many services can be suspended until a teacher returns from Mexico. A Mexican working visa allows Americans the ability to work and live in Mexico and have all of the same rights that native Mexicans have (including the right to pay taxes). Be aware that those who are not citizens of Mexico do not have the right to vote. 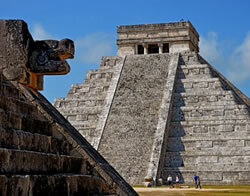 The Mexican visa process has undergone a major overhaul in recent years. There are two types of Mexican visas for which English teachers typically apply, which one you choose depends on your time frame in Mexico. The Visitor Authorized to Conduct Lucrative Activities Visa is meant for teachers interested in teaching for a period of time not to exceed 180 days, and can be extended for up to five years. For those interested in gaining a Mexican citizenship, the Permanent Resident - Formerly F2 visa is a better option. The Permanent Resident Visa allows teachers to have immigrant status after a five-year probation period, following which teachers can apply for Mexican citizenship. Mexican officials are seeing a large portion of the former T2 visa applications coming from older expats hoping to retire south of the border. - Valid up to four years. - Tied to the sponsoring Mexican company. - In general, after four years of Temporary Residence status, if an employee is willing to be paid from Mexican payroll, he or she is eligible to convert status to Permanent Resident. - For any period of stay (from 1-180 days) if paid from Mexican company payroll. 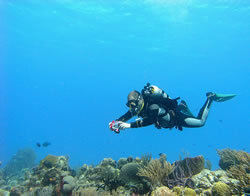 - For any activity if paid from Mexican company payroll. - Requires prior work permit approval from the INM. - For all nationals, a Lucrative Visitor Visa must be issued by a Mexican consular post prior to entry to Mexico. - Status will be valid indefinitely. - For employment-based applicants, example criteria for assessing points are as follows: the applicant's education level, the applicant's prior professional experience in specialized occupation or high-demand skills (e.g., science and technology), persons coming as investors or individuals with international recognition in their field or industry.